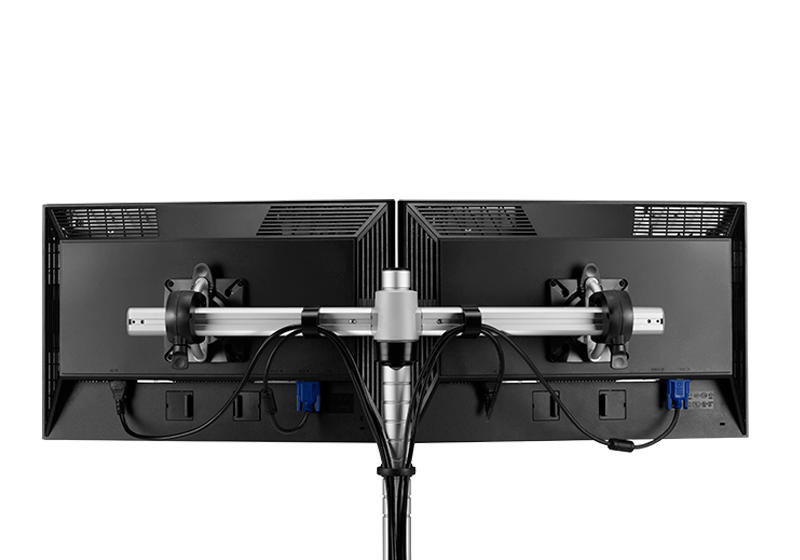 The Wishbone Dual Bar is our entry level dual monitor stand solution that is ideal for holding two screens of equal size and dependency in position. 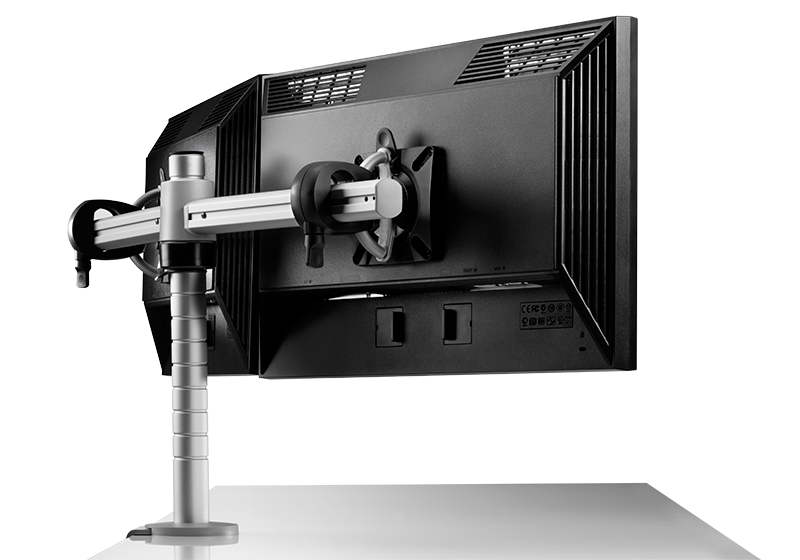 By removing and inverting the screen holders you can create a cockpit screen set-up with minimum effort and disruption. 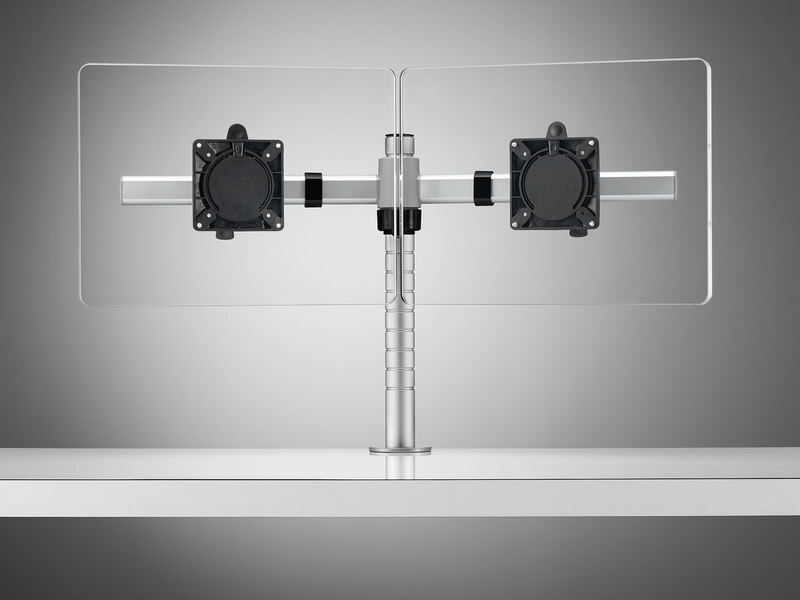 Being able to remove the screens quickly and efficiently is desirable although there are occasions when the screens need to be secured. 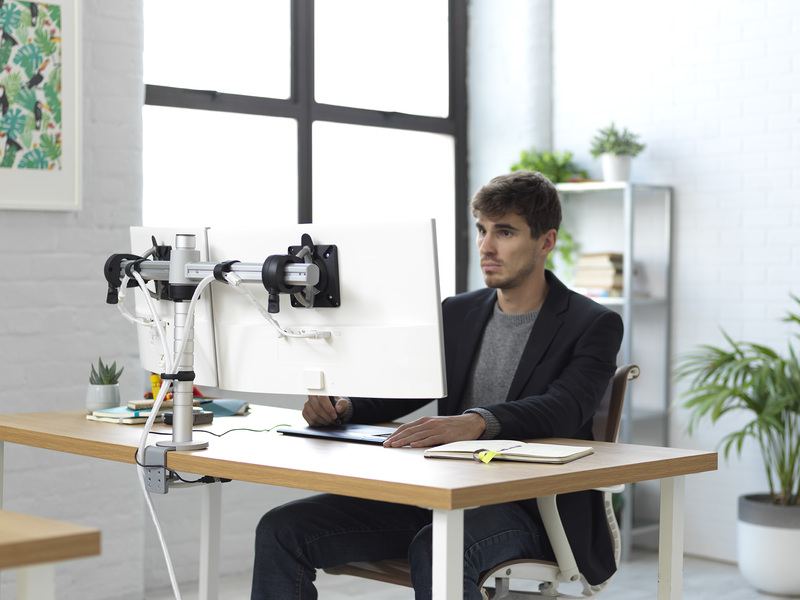 This can be achieved with the security screw feature that locks the screens in position. 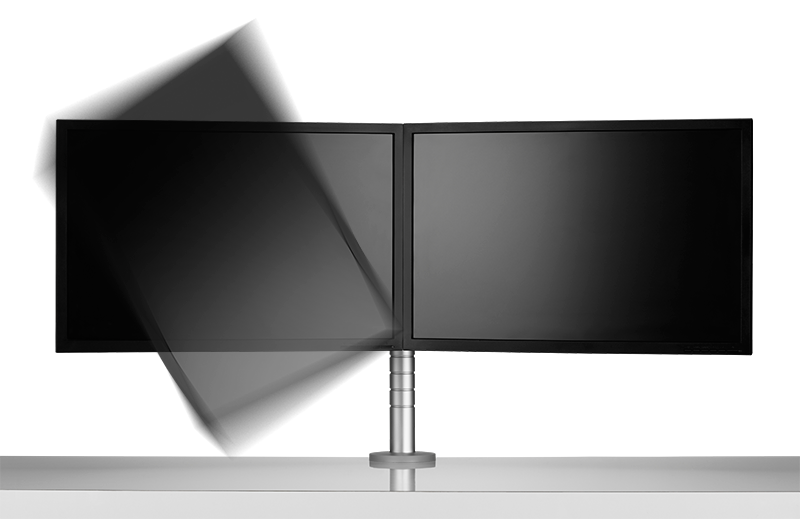 Depending on task requirements the screens can be positioned in either portrait or landscape configuration, by using the fine height adjustment feature the screens can always be perfectly aligned. 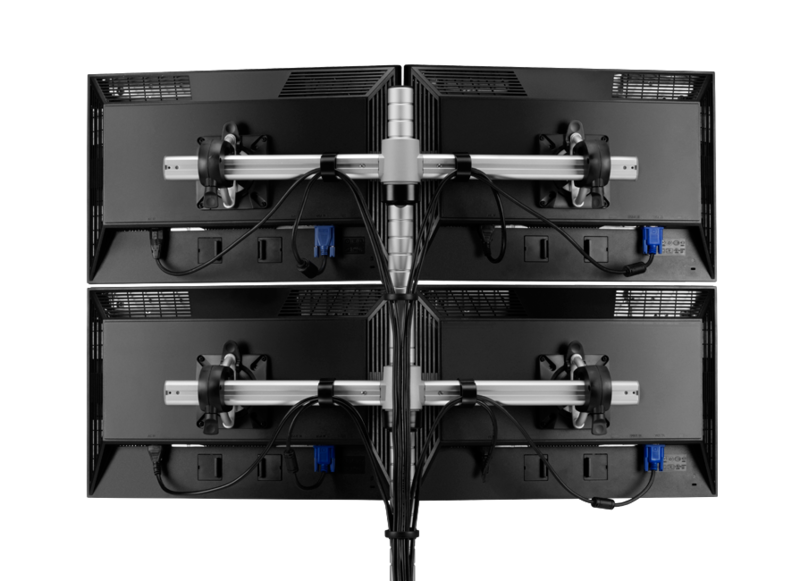 Should you want to convert your set-up to quad screen usage it is easy to do so, simply add another Wishbone Dual Bar and post to your existing kit of parts, the posts connect securely together to create the additional height required for the second bar.